Colour 35mm slide of peat cutting. 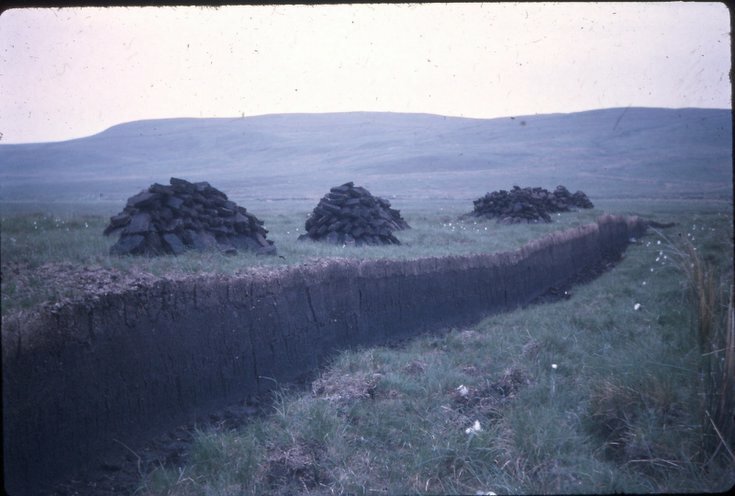 This is a good illustration of the depth of the peat bed with the cut peats stacked for drying. The location appears to be on the northern side of Ben Bhraggie. The card mount bears the number 10 and the date October 1975.